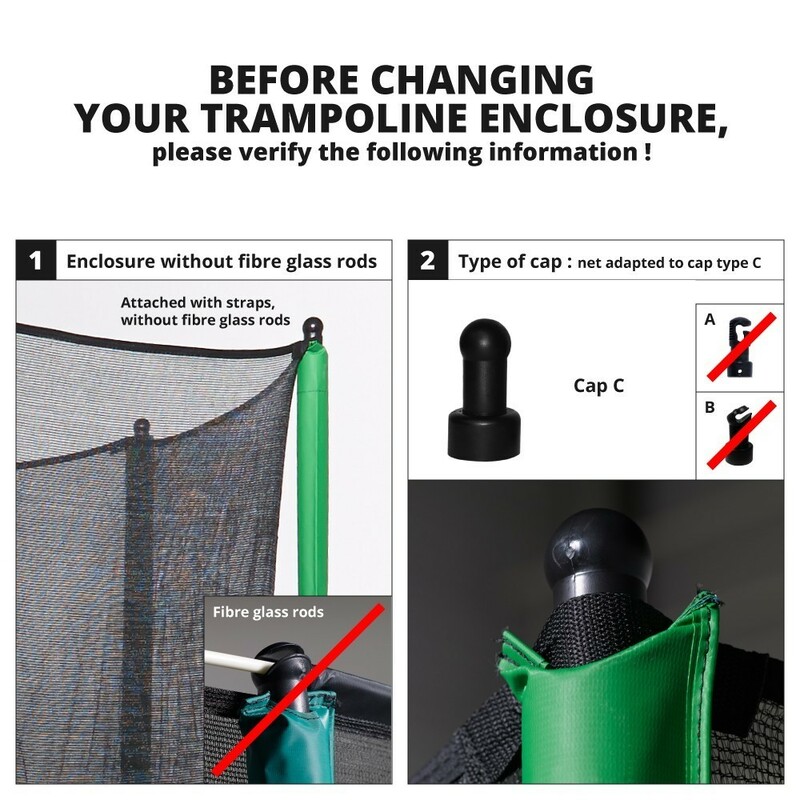 The enclosure is an essential component to make sure that a jumper stays safely on the trampoline. If your trampoline net is damaged, you can change it as long as your 8 steel posts are in perfect condition. 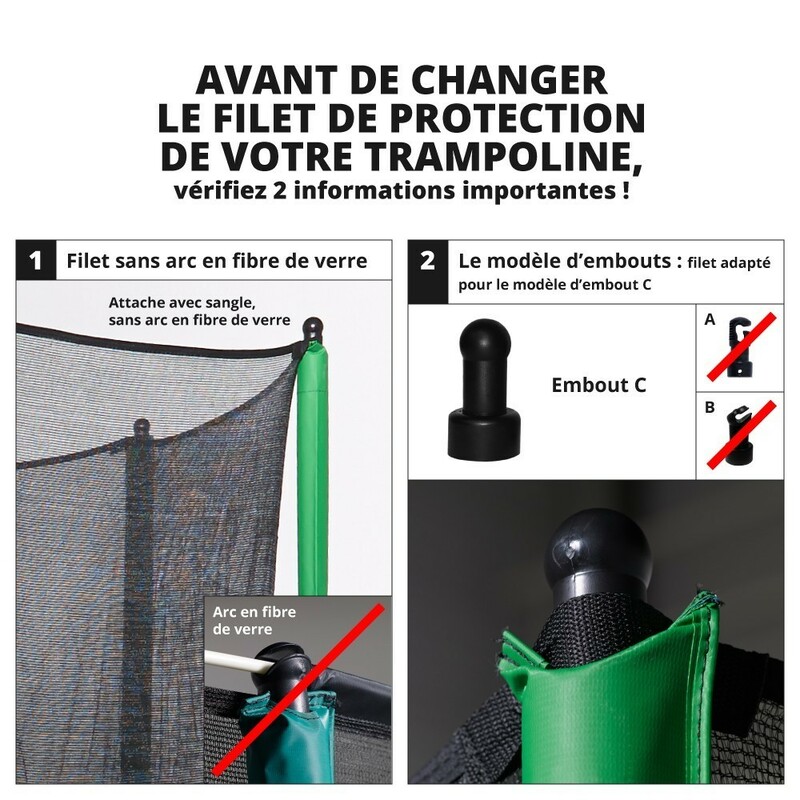 - This net is adapted to our Jump’Up and Booster 360 trampolines, but also to any trampoline of 3.66 m in diameter equipped with 8 net posts of 2.60 m in height. Please check that it has plastic caps at the top of the posts, essential to attach the netting to the posts. - The netting is made using polyester, a more solid and durable material than polyethylene, currently used on the trampoline market, even though it is more fragile and less resistant to UV light. 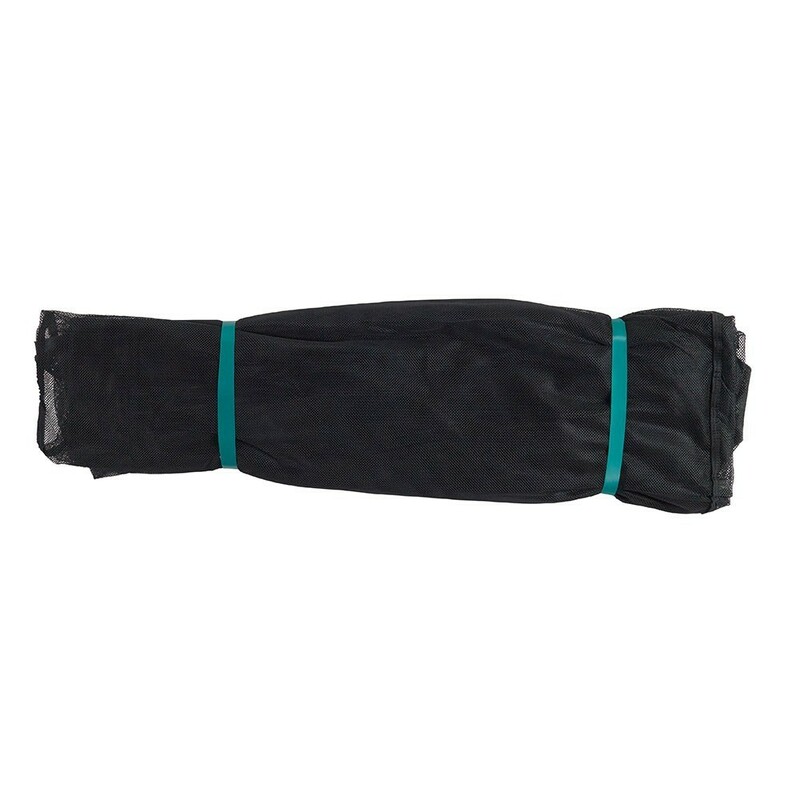 The fine netting is practical as it prevents children from getting their fingers stuck in the net, not forgetting that polyester is far softer and more comfortable to touch than polyethylene. 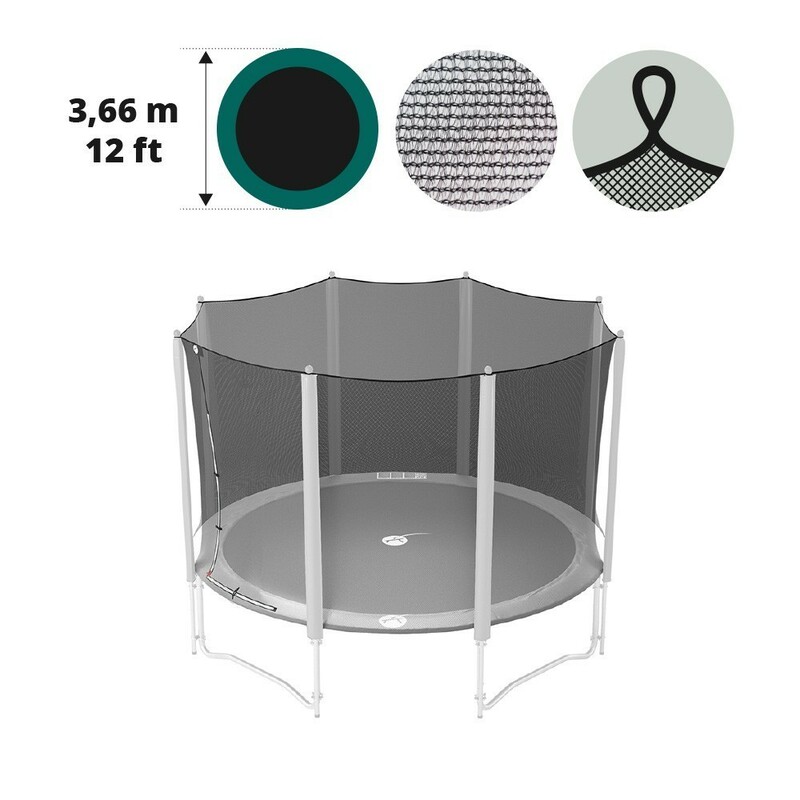 - In order to access the trampoline, you must use the L-shaped opening, which users can open and close using a zip. This door is visible and can be easily seen by jumpers because of its colourful stitching. - Furthermore, this replacement net is not sewn onto the net posts, but uses straps which are placed around a round cap at the top of each net post. If your old enclosure does not have these caps, it is essential to add this sapre part to your basket. - The net is placed behind the steel framework of your trampoline, and then fixed under the springs using elastic straps with a hook. This hook is fixed to the springs for a higher level of tension, meaning that a jumper’s fall will be efficiently broken, if they jump out of the jumping area.